Busta Groove is more than just a dance studio, it is a welcoming environment geared towards furthering personal growth and self-confidence in students. At Busta Groove we believe that dance has tremendous potential for learning and we wish to bring dance to everyone. Our Classes are open to ALL children and there are no restrictions on skill, weight, height or gender. At Busta Groove we believe everyone can benefit from regular expression through dance. Participation in performance is an important factor in building self-esteem and our program allows kids to tap into new modes of learning and communication. Your children will develop a broad range of performance skills and unique ways in which to understand themselves, others and the world around them. Dance can guide children to imagine, create and realise their dreams. Busta Groove dance studio provides various opportunities for students to perform in concerts and functions. Rebecca Lalor is Principal of Busta Groove Dance Studio and is the creator of the acclaimed Busta Groove Creative Movement classes. She is trained in classical ballet, modern jazz, hip -hop and tap and has a degree in Visual Arts from the WA Academy of Performing Arts. Rebecca has danced, taught and choreographed shows in Japan, Korea, Kuala Lumpur and Western Australia for over twenty years. She lectures in Musical Theatre at the WA Academy of performing Arts and teaches all ages from pre-school to adults at her East Perth studio. Our Mission is to instil in all of our students, the passion, enjoyment and love of the performing arts and in particular, dance and musical theatre, and to provide students 'the education of a lifetime', by offering them professional and up-to-date training and engendering a quality learning environment. Established in 1991 by Christine Walsh AM and Ricardo Ella, The Australian Conservatoire of Ballet (ACB) has a well-known reputation for strong professional ballet training, with students benefiting from the most up-to-date methods in order to be fully prepared for the current requirements of dance companies worldwide. The Australian Conservatoire of Ballet is both a classical ballet school and a training program. The creation of the ACB teacher training and assessment program (syllabus), half-day ballet/half-day academic and the full-time program, has enabled students to reach exemplary standards. The program is based of the Vaganova method, which has been adapted to suit the needs of Australian and international students attending academic day schools. Over 200 teachers now teach this program in schools across Australia, the Philippines, Japan and Hong Kong. The school is continuing to enjoy the recognition of its training in classical ballet by the international dance community. A number of academic schools in Melbourne now participate with the ACB to facilitate the students undertaking their academic studies on a half-day basis devoting the other half of the day to their ballet studies at the ACB's new premises in Richmond. Ragas welcomes students of all age groups and all nationalities. Classes are conducted once a week. Curriculum followed at Ragas is based on the Bhaatkhande Sangit Vidyalaya, India curriculum. Ragas is an off shoot of Bhaatkhande Sangit Vidyalaya, India which aims at spreading music far and wide. Ragas provides an opportunity to all those interested in the art form to come and learn the basics and fine tune their skills. Semi Classical Indian Music refers to composition based on Ragas , such as Devotional songs (Bhajans , Saraswati Vandana etc), love poetry (Ghazals), seasonal songs (geet), Folk lures (Thumri) Sanskrit Shlokas etc. Kathak is a classical dance form of northern India. The word kathak means "to tell a story". It is derived from the dance dramas of ancient India. Kathak dance is truly defined by its intricate footwork and graceful body postures. In 1935 Miss Gertrude Johnson founded the National Theatre Movement as a future base of the performing arts in Australia; during 1939 the National Theatre Ballet School was opened under the direction of Jean Alexander with a faculty headed by Enrico Cecchetti’s pupil Madame Lucie Saranova. The Ballet School was unique in Australia in that it was the first such school attached to a performing theatre, thus enabling its students to have direct contact and involvement with the sister arts of Opera and Drama. Under the guidance of Madame Saranova the Australian branch of the Cecchetti Society was founded with the National Theatre Ballet School as its headquarters; the teaching of the Cecchetti Syllabus provided a direct link with the glorious heritage of the Italian-Russian schools of dance. From its inception until 1948 the School presented two seasons of ballet each year at the Movement’s own theatre in Eastern Hill. With the formation of the professional National Theatre Ballet in 1949, many pupils of the School were to dance within its ranks at the Princess Theatre. The faculty of the school has included many notable names in Australian and International Ballet, among whom should be mentioned Corrie Lodders, Jill Gregory, Serge and Kyra Bousloff, Marie Cumisky, Margaret Earl, Marita Lowden, Valrene Tweedie and Pat Martin. Tabor College Victoria is a multi-denominational Christian education centre founded in Melbourne in 1988. The College exists to empower God's people to serve in God's mission to transform the world. Tabor Victoria is an independent higher education provider and registered training organisation offering courses from certificate through to masters degrees. The name 'Tabor' has special significance as Mount Tabor in Israel is generally thought to have been the place of the Transfiguration of the Lord Jesus, where those present became focussed on the awesome majesty of the Lord. The central aim of the College is to help people focus on the Lord Jesus Christ. The College logo depicts Mount Tabor, with ascending lines conveying the idea of aspiration towards God. The motto of the College is "witnesses of His majesty" (2 Peter 1:16). The motto of the College is "witnesses of His majesty" (2 Peter 1:16). Hawthorn Studio of Dance has two directions, the teaching of Classical Ballet and Musical Theatre. In the junior levels, classes are structured in age ranges for a happy social environment. Beginner, Intermediate and Advanced Levels are introduced for the senior students. Below is a brief outline of what the school has to offer. Examinations are held with the "Royal Academy of Dance" and "Theatrical Dance Examinations"
The Hawthorn Studio of Dance offers examinations in both Classical Ballet and Theatrical Dancing. They are highly recommended as they give the student an exciting challenge, build confidence and sense of performance. The examinations help strengthen the technical standard and gives the child true belief in their own potential. Below is a brief outline of what the school has to offer. Christian Outreach College is an independent, co-educational school catering for students from Pre-Kindergarten through to Year 12 situated on one beautifully landscaped campus. COCT values relevant, vibrant and self-motivated learning. We have high expectations that all our students will discover and develop their individual gifts and talents. We create a learning environment that enables students to apply themselves with diligence and perseverance so as to attain the best they can, both individually and for the team. As a College community, we value an authentic approach to life as our students develop a sense of integrity that aspires to all that is honourable, commendable and excellent. COCT would like to invite you to join us for a tour of the College. Prospectus and application details are available on our website or please call us on 4617 6555. Melbourne School of Classical Dance will provide an opportunity for every student to experience joy, creativity and artistic freedom in dance by facilitating the achievement of a secure technical foundation in a warm and caring environment." 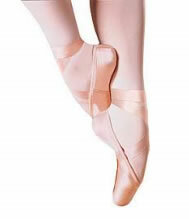 We are a Classical Ballet school located in Fitzroy VIC and teach students from 3 years of age to adults. Alongside Classical Ballet, students study Jazz and National Character Dancing. Our philosophy is to provide students of all ages with the opportunity to individually develop and express their talents in a safe, educational, recreational and friendly environment. Belinda’s Art Of Dance is one of the Inner West’s most finest and reputable dance schools offering classes in all areas of dance and performing arts, from specialised Tiny Tots classes to Classical Ballet, tap, Jazz, Funk, Hip-Hop, Pilates, Singing, Drama & Performance Troupes. A love of dance is particularly nurtured within all classes. Sydney Dance Company is Australia’s leading contemporary dance company, performing throughout Australia and internationally under the direction of Rafael Bonachela. The Company presents matinee performances and dance workshops for primary and secondary students across Australia. Sydney Dance Company’s school matinees connect school students to the dancers, choreographers and artistic collaborators behind their award-winning productions. Students see cutting edge contemporary dance performances and participate in tailored programs including pre-show talks, demonstrations and interviews. Each school matinee is accompanied by a curriculum-relevant resource pack. These are available for free to teachers who book a group of students to watch the show (matinees or evening performances). Sydney Dance Company delivers Creative and Dance Workshops for students across the country and at the Company’s iconic Wharf Studios. Creative Workshops share the Company’s creative processes and tasks with students to encourage them to explore and challenge themselves with movements, while Dance Workshops are available in commercial dance styles such as Jazz and Hip Hop to help students develop their dance technique and fitness in a fun, engaging environment. Sign up to our Dance Education eNews to receive updates each term. Visit the Sydney Dance Company website to find out more. The Academy of Dance & Movement has a holistic approach to teaching dance and related arts. It offers a complete dance/arts education for those who wish to dance recreationally and those who wish to become professionals in the industry. Academy of Dance & Movement (ADM) is a vibrant artistic centre situated in the heart of Malvern East. Directed by Nathaniel Lamond and supported by an energetic team of qualified teachers with industry experience. ADM is a creative environment that caters for students of all ages to explore the art form which is dance. The Brunswick School of Dance began in 1997 and has since grown to include well over 200 students of all ages. After 10 years at the Brunswick East Primary School, the School had grown to such an extent that we were able to secure our very own studios in the adjoining suburb of Northcote. Our new home has been embraced very warmly by students and is now a hub of activity after school and at weekends. The main objective of the School is to introduce the joy of dance to students. The teaching environment is warm, friendly and encouraging and many students have remained with the school from its outset to the present. Classes aim to challenge students and the content is presented in an interesting format appropriate to the particular age and level. Children in junior levels enjoy a mixture of dance games and basic technique while middle and upper levels are guided through a more formal class structure. Props and inspiring music form an important part of the learning process. Students increase their knowledge and skills through preparing for special events such as Presentation Classes, Exams, Cabaret, Eisteddfods and of course, the highlight of the year, our Annual Concerts. The skills and confidence learned through these dance experiences can be carried into all facets of life. 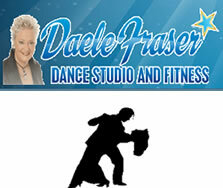 Daele Fraser Dance Studio & Promotions has been operating in Morley, Western Australia since 1972. The studio has been very successful and popular, with literally thousands of children and adults learning to dance from Daele and her staff. Formation Teams, trained by Daele, have toured throughout Australia, Singapore, Malaysia and Indonesia and have received many accolades and prestigious awards. Competitive couples have been very successful and the studio has a 100% pass rate with over 6,500 examination candidates. For the past 3 decades Daele has taught social dancing in schools and colleges with excellent results. Regular Cabarets, Family Cabarets and Medal Presentation nights have been a highlight for pupils since the studios inception. Theme Nights add to the fun and the features are Non-Stop Dancing, Floorshows, Games and Lucky Spots and Fun galore. For many years Dale has promoted and organised Floorshows and Demonstrations at major functions in Perth, throughout Asia and on television in Australia. The Studio is ideally located with ample parking facilities. It is well equipped with an excellent sound system and jarrah dance floor. The lighting is extensive and can set the mood for any occasion. The studio is fully air-conditioned and is very comfortable. The bright, friendly atmosphere is ideal surroundings for all ages to learn to dance. Welcome to Bradfield Senior College, where the HSC is inspired by you. We’ve opened the doors to our new purpose-built facility in St Leonards which is equipped with the latest in classroom technology and design that will inspire you to learn. Explore the possibilities in the fields of performance, design and visual arts, digital media or service industries such as tourism, retail and business. Our passionate team of educators are experts in their fields and are truly dedicated to supporting you in achieving the best HSC experience and outcomes possible. Join likeminded, creative individuals who are excited to learn.